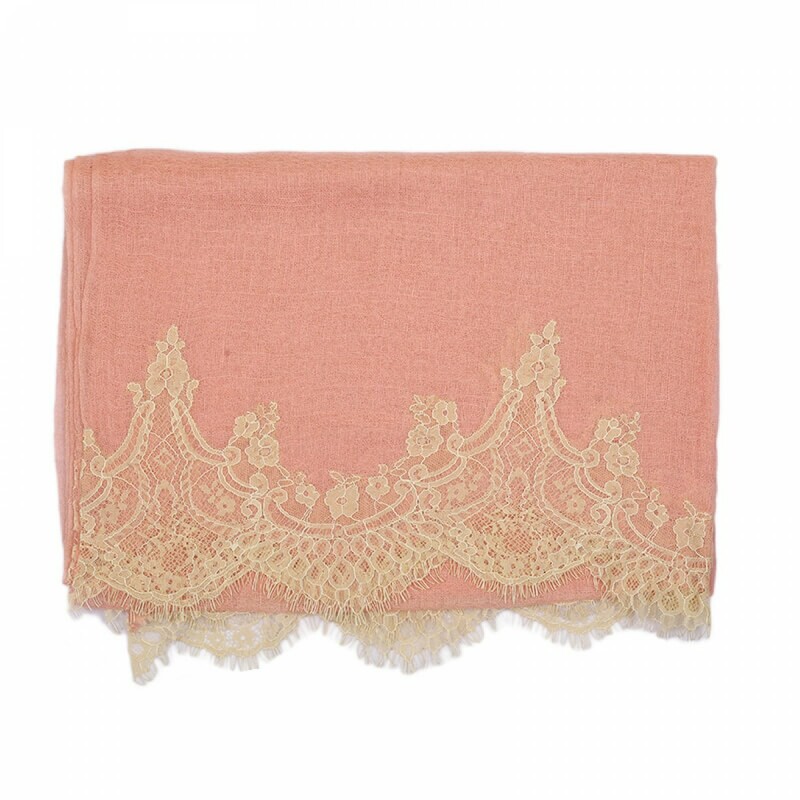 This lace pashmina is made of 100% cashmere from Capra Hircus Goat, which is the finest Cashmere in the world from Kashmir. 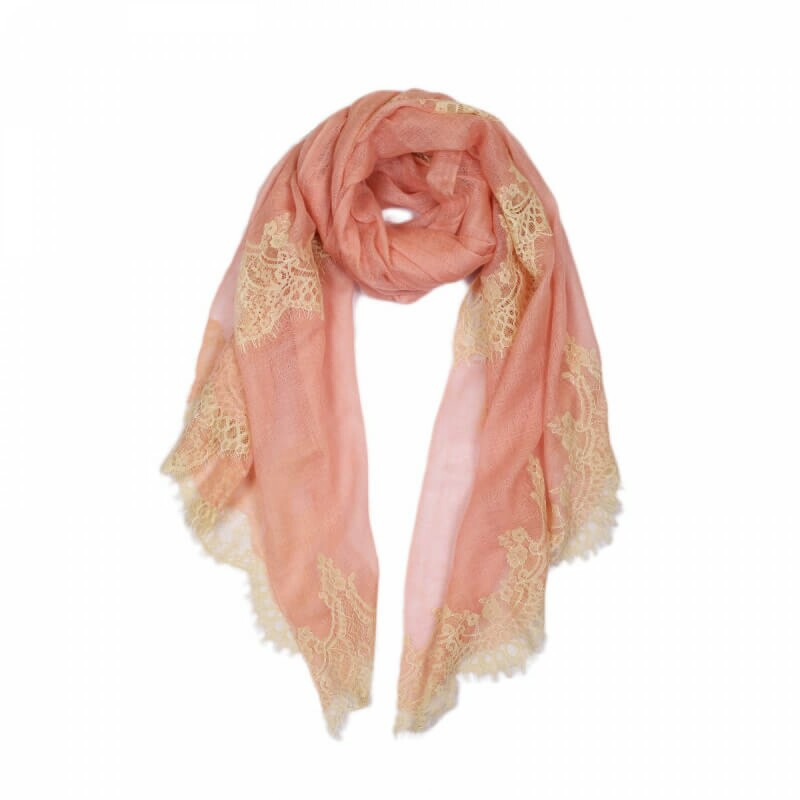 Angela Jey lace pashmina scarves are using laces from Italy and France, stitched by the best tailors from our workshop in India. This luxurious, glamorous piece combined the best workmanship from these countries. A true borderless and elegant fashion accessory for parties, dinners and weddings. A perfect choice for bridesmaids and wedding gifts too.